Practicing yoga has many benefits for physical and mental health. Sports like boxing require a lot of strength and muscle power. Intense boxing training can shorten and bulk the muscle fibers and make you prone to injuries. Yoga ensures, among other things, better concentration, better balance and more flexibility. 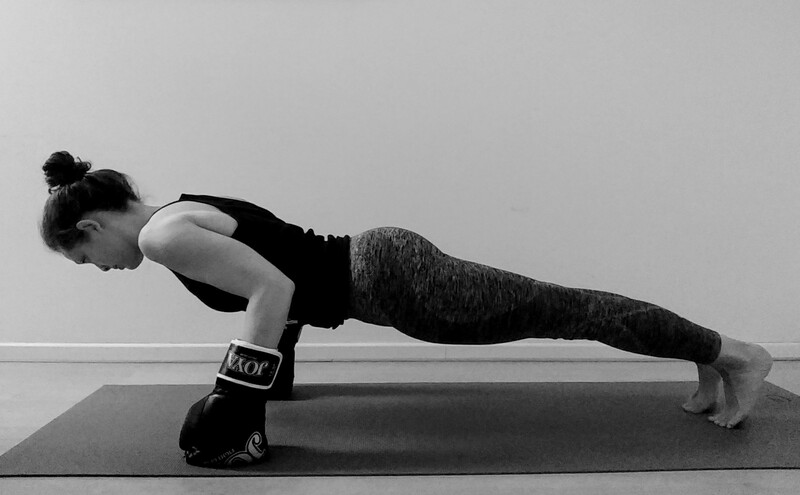 Yoga can therefore be an important additional training for boxers. The additional practice of yoga can help extend the muscles, improve your concentration and reinforce the balance between strength and flexibility. 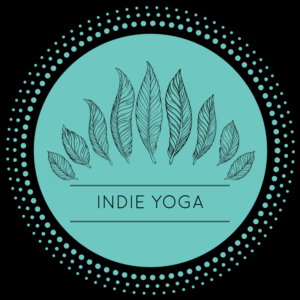 This blog post explains the benefits of yoga for boxing and provides some yoga exercises for boxers. While the physical benefits of yoga for boxing are the most obvious, other aspects of yoga also help to improve your boxing skills. The first is pranayama, which refers to controlled breathing techniques that improves your recovery between rounds in sparring or a match by deep and controlled breathing. The breath is central to each yoga practice, in which every movement is guided by an inhale or an exhale. Both in yoga and boxing the effort or exertion happens on an exhale. In boxing, a good breathing technique can maximize your punching power and shorten your recovery time. It also helps you to be efficient with your stamina. The foundation of yoga is not only the breath, but also the so-called ‘drishti’. This is your point of focus to which you direct your gaze while you are in a yoga position. Keeping a steady gaze helps you to focus and to find stability. By paying attention to your breath and keeping your eyes focused on one point, you increase your concentration during your yoga practice. This training can really improve your focus and concentration while boxing, in which keeping balance and looking at your sparring partner is essential. Tip: look at the chest, not the eyes or arms so you are less likely to be distracted or fall into feints. Most apparent are the physical benefits of yoga for boxers. Yoga entails a lot of mobility exercises, balance training, and dynamic stretching which can reduce the risk of injury for boxers. 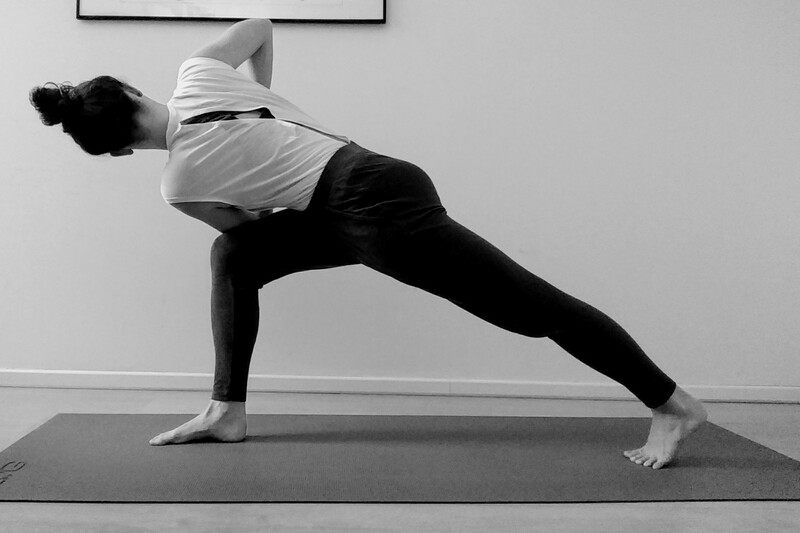 The lengthening stretches in yoga can extend your reach when throwing a punch, while the balancing poses in yoga help you to be more stable on both feet. With good balance you will find yourself in punching position more often, and be more in control of your defensive positions. The stiffness and muscle imbalances that boxers often experience can also be reduced by regularly practicing yoga. The foundation of every yoga practice is the sun salutation. It warms up the body before you start your other yoga poses. The sun salutation consists of a series of poses that follow each other in a dynamic flow, in which breath and movement are combined. How to carry out the sun salutations is described in the blog post about sun salutation A and B. The yoga poses described below help to create more space in the shoulder area, learn how to effectively stretch your calf muscles, and help to increase your range of motion in the torso. The neck and shoulder muscles are in constant contraction while boxing. The following yoga poses can release tightness in the shoulders and the neck. They create more space in between the shoulder blades and help to open the chest. 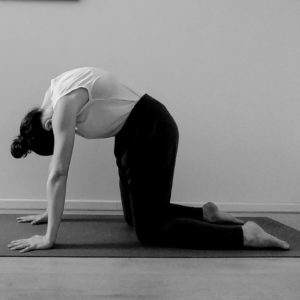 The cat-cow pose is a dynamic movement between two poses (cat and cow) that brings flexibility to the spine, mobility in the shoulders and stretches the neck. Start on hands and knees, with the hand directly under the shoulders and knees placed underneath the hips. First, on an inhale you open the chest, drop the belly and look up (cow). Second, on an exhale, you round the spine, release the neck and drop the head down (cat). Repeat both poses several times. The sphinx pose helps opening the chest and the shoulders. To get into the pose, lay down with your belly on the mat. Place your elbows on the mat, right underneath the shoulders. Extend the lower arms in front of you, so that your arms are in a 90-degree angle. On an inhale you lift your chest and head up, away from the mat. Stay for five to ten breaths, then exhale and slowly release your belly, chest and head back to the floor. For this wide legged forward bend there are two options, depending on the mobility of your shoulders. In both options you start by stepping the feet wide apart. For option 1 you grab opposite elbows behind your back, and for option 2 you interlace the fingers behind your back. 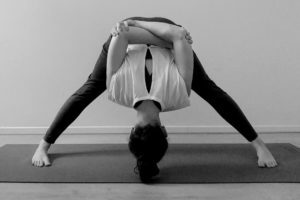 On an inhale you open the chest and on an exhale you fold forward from the hips, releasing the head down towards the floor. Focus on bringing the shoulder blades together, while you stay in this pose for five to ten breaths. In boxing you are moving around on your toes all the time, which means that your calf muscles are constantly engaged. Also, your calf muscles push you off the ground to generate power throughout the body when throwing a punch. These constant movements shorten and bulk the muscle fibers in your calves. The following poses help you to stretch and release tension in the calf muscles. A dynamic way of stretching the calf muscles is by ‘walking the dog’. 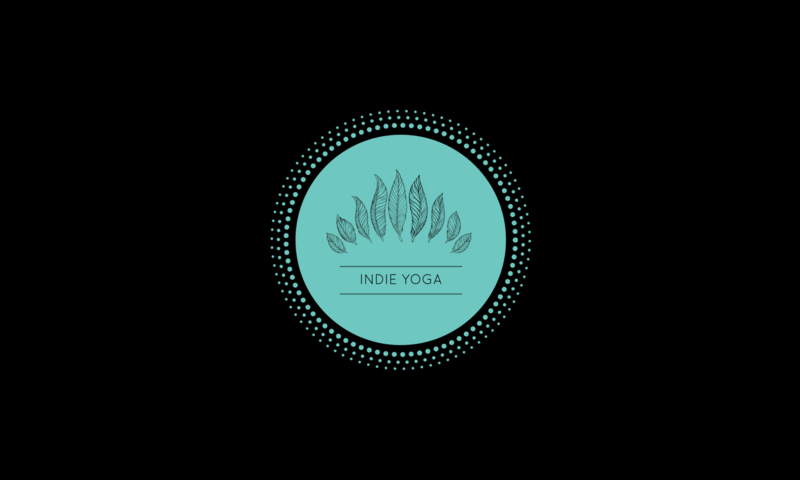 First, come and stand in downward facing dog by placing the feet and hands on the floor and by lifting the hips up into an inverted V-shaped position. Then bend one leg at the time to stretch the calf muscle of each leg, alternating between legs several times. Pyramid pose: in a standing position, with your toes pointing towards the front, step one feet to the back (about 3 feet apart). Make sure that the hips and shoulders are in one line. Then place a block or a rolled towel underneath the front foot. 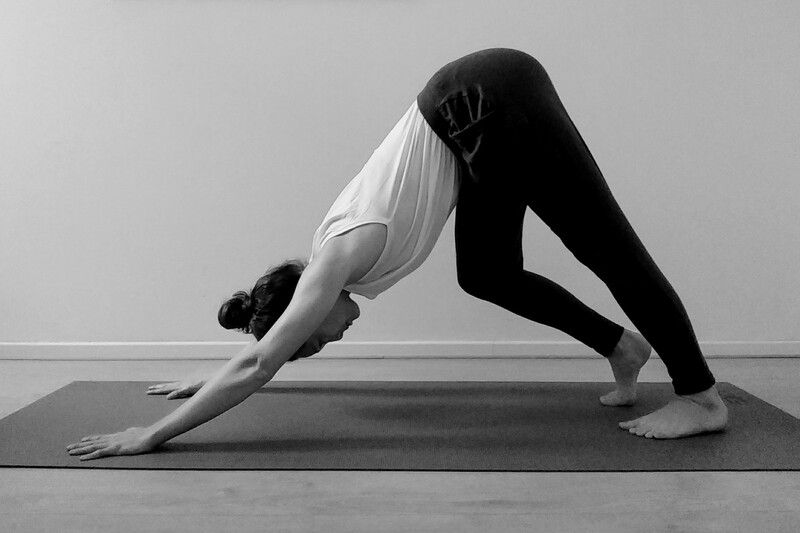 Start folding forward from the hips, placing your hands on the mat. Keep on breathing while you feel the stretch in the calf muscle. After five to ten breaths, change sides. Seated forward fold: while seated on the floor, extend the legs in front of you. Point your toes upwards and fold forward over your legs from the hips. You can adjust the pose by bending the knees if the calf muscle stretch is too intense. 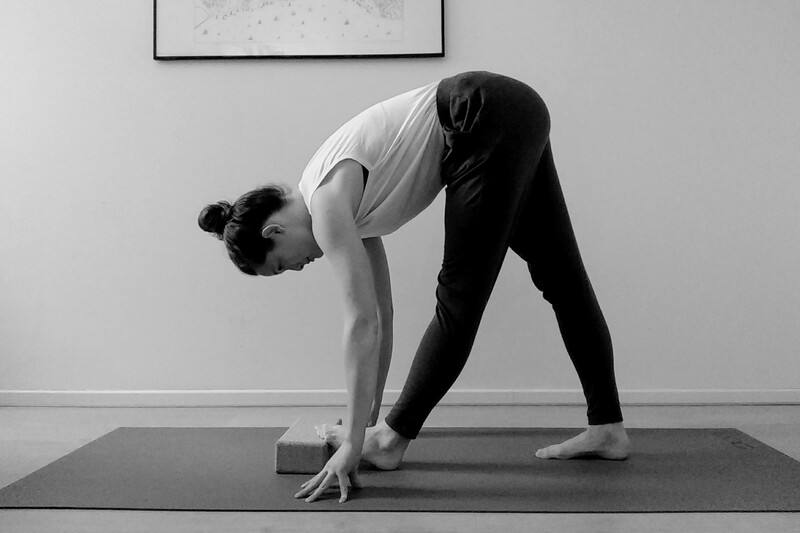 To further intensify the pose, you can place a block against the soles of your feet. In boxing a lot the movement and power in punches comes from rotations in the torso. In order to increase your range of motion in this upper part of the body, the twisting poses of yoga can help. This larger range of motion in your torso makes you faster in your torso rotations and increases your punching power. 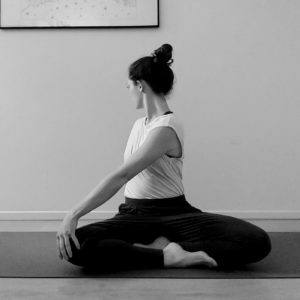 For this simple seated twist, come and sit on the floor in a cross-legged position. Place your right hand behind your back on the floor, and place your left hand on your knee. On an inhale you lengthen the spine and on a exhale you twist to the right and look over your right shoulder. Hold for five to ten breaths and then change sides. 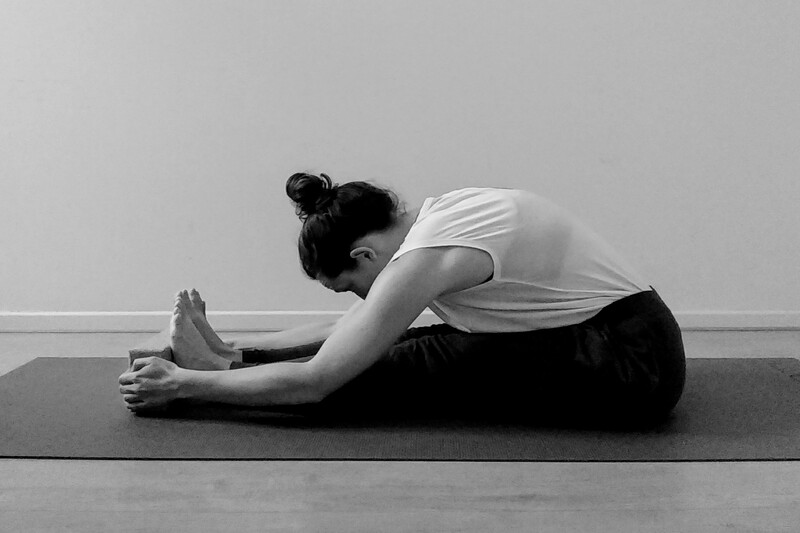 Twisted side angle pose: place the feet about one leg apart and bend the front leg in a 90-degrees angle. Place your hands together in front of your chest. On an inhale you reach forward with the crown of your head, and on an exhale you twist over your bend leg. In the twist, place the upper arm on the thigh of the bend leg, keeping the hands together in front of the sternum. Try to deepen the pose with every breath. Hold for five breaths and then change sides. 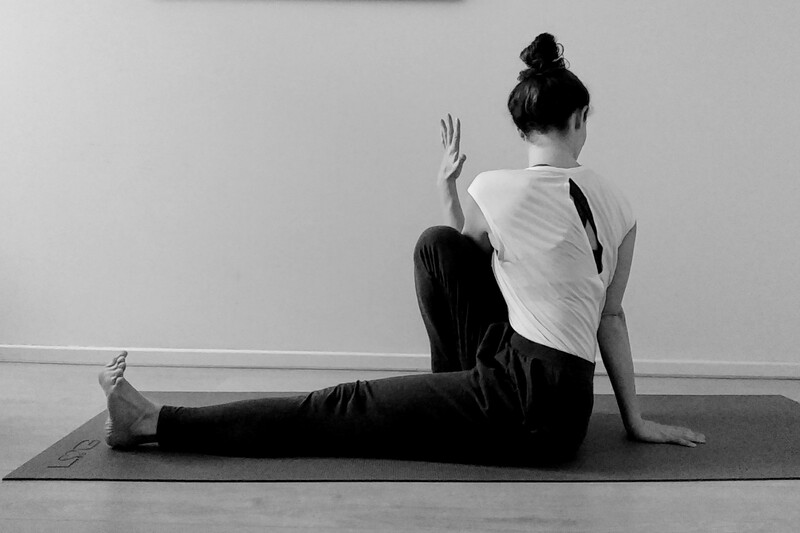 Marichyasana III pose: start with extending your legs in front of you, while seated on the floor. Bend your right knee and place your right foot on the floor close to your body. Place the right hand behind you for support, and place your left elbow on the outside of the right knee. On an inhale you lengthen the spine, and on an inhale you twist and look over the right shoulder. Feel the opening of the shoulders and the twisting of the spine. After five to ten breaths, change sides.